The list of the world’s most powerful women by Forbes has always been a respected indicator of how women will change the world, and Melinda Gates’ position at number 3 is no exception. Melinda Gates is the co-founder and chair of The Bill and Melinda Gates Foundation, the largest grant giving foundation in the United States. The Foundation has existed for 13 years and holds $34 billion in assets. Goals set by the foundation this year include eradicating polio within five years and distributing safe birth control to 120 million women in Africa and Asia. Melinda’s role as co-chair includes approving strategies and promoting the goals of the Foundation. 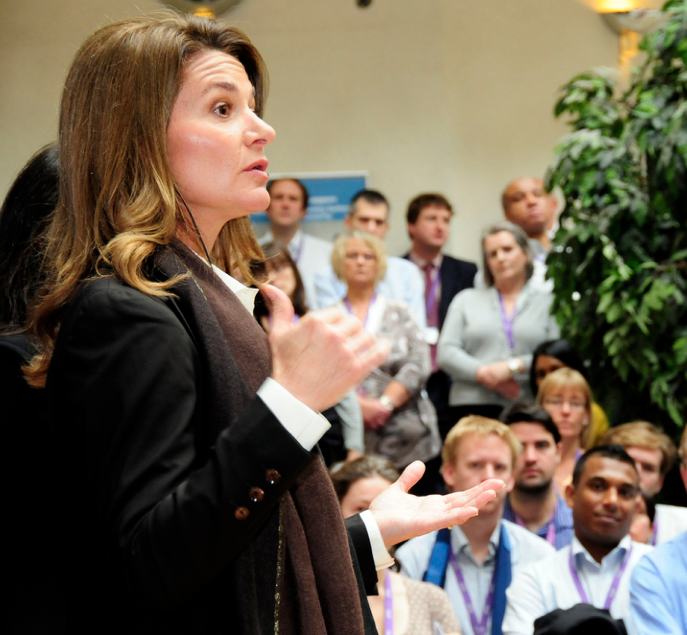 Melinda leads the Gates Foundation with knowledge, passion and conviction. She has given several TED talks on how to improve philanthropy and the important role that access to birth control plays in the empowerment of women. The Foundation’s stated vision is that every human being has the right to live a healthy, productive life, and they continue to make broad efforts to improve global health. The Gates family tells its stakeholders that part of their mission will include investing in projects that fail, because they are willing to take the risk that governments and other organizations are not able to. The Foundation specializes in immunizations, agricultural development, sanitation and other global health issues. The Bill and Melinda Gates Foundation takes a different kind of approach to philanthropy, citing Coca-Cola as inspiration for managing their brand and distributing help. The Foundation also grows by purchasing stock in companies that make products for their programs, such as pharmaceutical and agricultural companies. As the organization has given away billions of dollars to date, their approach has proven the ability to implement grand scale products and create massive global change.